ABC Billiard Plus continues to bring you the finest wall decor, worthy of hanging in your home game room or pool hall! 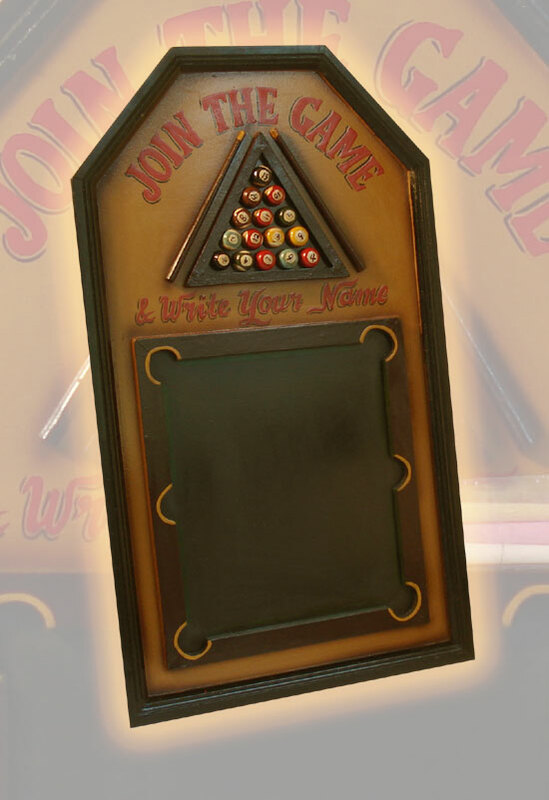 Our compact billiard chalkboard score keeper features a patina finish wooden frame which surrounds its richly detailed hand painted scoreboard. 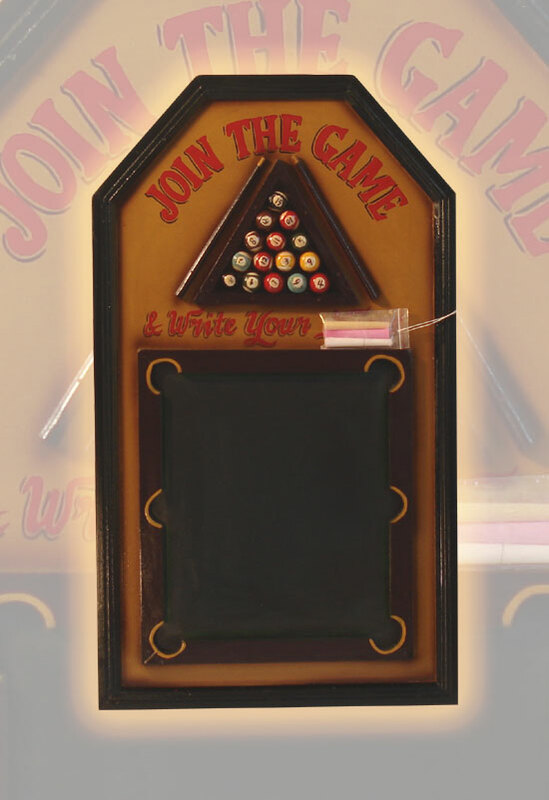 "Join the Game & Write Your Name" encourages you to step up and play. A 3-D relief effect is created by the pool table frame, the vintage look cues and the racked ball set. It's a "must have" piece for your game room or establishment. Includes 3 pieces of colored chalk. DImensions: H-26" x W-16" x D-1"